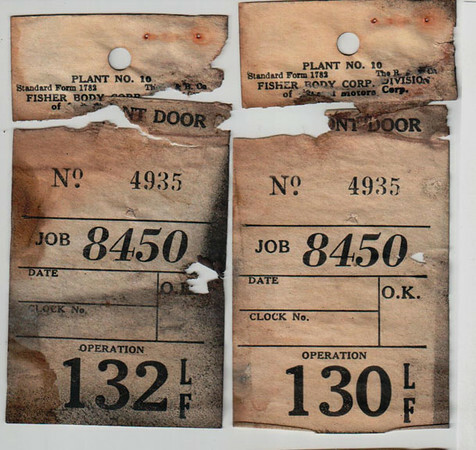 29-50 During Restoration: Original Production Line Job tags. Job Number matches the Data Plate on Firewall. I found the Job Tags in the rear door of the car.